Greetings from Minneapolis…wish you were here! 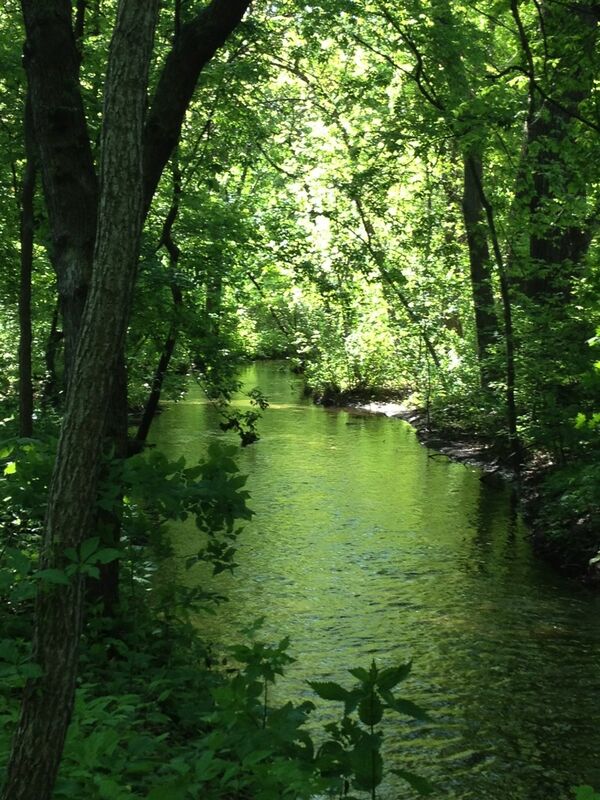 Photo taken of Minnehaha Creek this morning on my daily run. It was so beautiful out today that I had to take another run and yet another picture of my lovely creek nearby my home. I’ve photographed it many times but today the water looked almost green due to the reflections of the leaves. I had to run back and grab my camera and take a shot. Here it is. wow! that seems like a fantastic trail to run on! I never would have thought that a place like this would be in Minneapolis! Love all the green! Minnesota is loaded with nature, even in the urban parts of the city, where I live. We have four lakes just here in the heart of Minneapolis to run, bike and play on. It is quite a great place to live despite the cold winters. That’s when I get my snowshoes and skis out!